Niagara falls have been on my bucket list for the longest. I had no idea it was so close to us. This year I wanted to keep our spring break pretty low key. Seeing how I just returned back from Cancun Mexico two weeks ago. We had the best time ever last year in the Bahamas. The weather was so beautiful and the food was delicious. I wanted to try something new this year. I decided to try out Niagara Falls. I always hear about how cold Canada and upstate New York is. However, the weather was perfect and there were a ton a people there enjoying the views. I love how Niagara Falls was just right there. Once we arrived in the area. The falls were within walking distance from out hotel which was perfect. 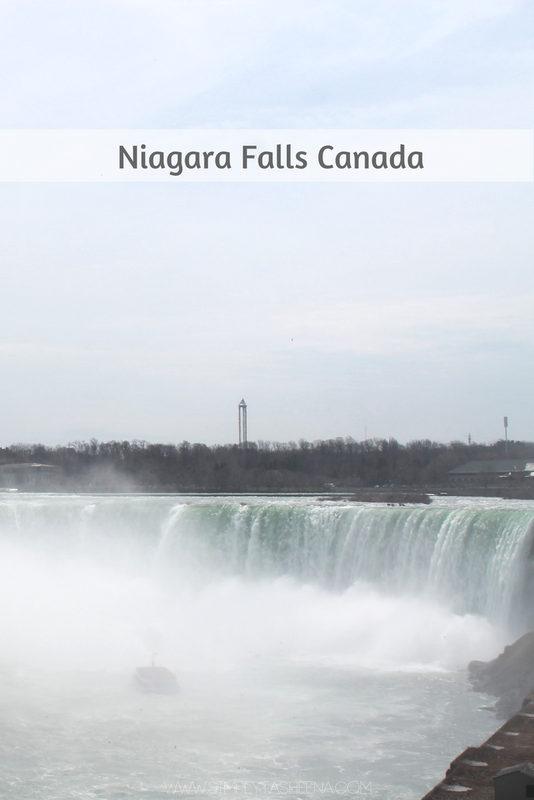 Have you ever been to Niagara Falls before? What gorgeous photos. No, I've never been, but I'd like to go someday. I'm glad the weather was nice for you! Oh it reminded me of our Niagara falls visit. We went from US side but heard Canada side is much more beautiful. Niagara Falls looks amazing. I have never been there, but it's one of the places I would love to see before I grow old. Niagara Falls is so close to me and yet I have never been. I have, however, been to the Bahamas. Lol. Maybe we'll do NF this year. I drool and day dream every time I see picture of the Niagara falls. It's my bucket list to go there! So gorgeous photos.I have never been there, but it's one of the places I would love to see before I grow old. Hey dear amazing pictures have always been fascinated by the Niagara falls but haven't got the opportunity to visit until now hope I visit soon. Thanks for sharing. The view of Niagara Falls is just amazing. Thank for sharing those great pictures! Can only imagine the peaceful sound of the water falling down! I've truly enjoyed reading about Niagara Falls. I haven't been back as an adult however I'll have to do so. What a lovely view! I've always wanted to go. I have never been to niagra falls. It is a must visit place in my wishlist. Lovely pictures! Niagara Falls is a must see when visiting Canada. This is a great tourist spot i guess..& The pictures look amazing!